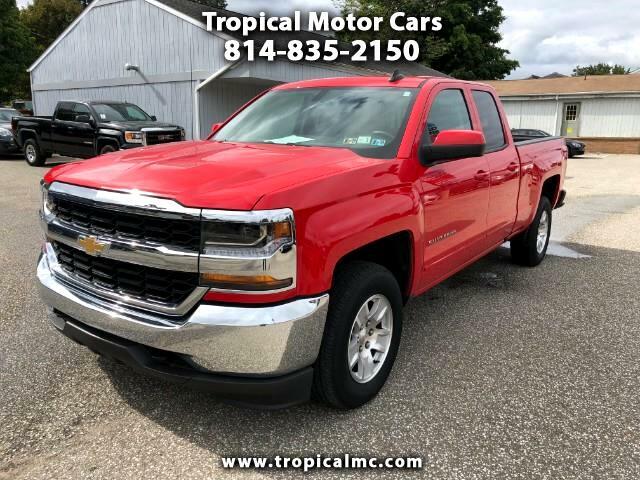 Very nice bright red 2018 Chevrolet Silverado Double Cab LT 4WD Truck, comes equipped with a 5.3L V8, automatic transmission, 4WD, 8 inch multi media touchscreen radio, power windows, locks, and mirrors, dual zone climate controls, XM satellite radio, tow package, and alloy wheels. This Silverado comes with a accident free CarFax history report and a balance of factory warranty. Very nice bright red pickup truck.